Get ready for the return of Astro Pops, Boast logo shirts, National Premium beer and the Seafood Shanty restaurant chain—all names that had avid followings in their time. The difficult economy is prompting many entrepreneurs to try to revive old brands from the dead—or the near-dead. Get ready for the return of long-abandoned products like Astro Pops and National Premium Beer. The difficult economy is prompting entrepreneurs to revive old brands. Angus Loten has details on The News Hub. Photo: Miranda Harple for The Wall Street Journal. The problem is that tastes have changed in the meantime. But that hasn’t stopped Eddie Riegel of Exeter Township, Pa. The owner of a Reading, Pa., cleaning company has invested $1 million of his personal savings and a government-backed small-business loan in his bid to revive the old Seafood Shanty chain. 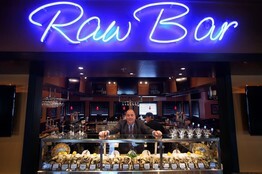 Mr. Riegel, who took his wife to a Seafood Shanty on their first date in 1982, acquired the trademark for the brand in 2010 after asking his lawyer to find out whether the rights to the mark had expired. microsoft server He bought the original recipes for $7,500 after tracking down the former chef on Facebook. He says he also got some fishing nets and other original decor from former Seafood Shanty workers. 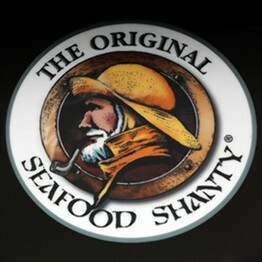 In February, Mr. Riegel opened the first new Seafood Shanty restaurant in Spring Ridge, Pa., not far from the chain’s former headquarters. As early as November, he says, while crews were still putting up the drywall, about 200 people had lined up outside for prelaunch gift cards. Using an old brand or product gives entrepreneurs at least one important advantage over start-ups: The amount they have to spend on marketing is often less than the cost of creating a new brand or concept, says George T. Haley, who teaches marketing at the University of New Haven’s College of Business. If a trademarked brand hasn’t been used for three or more consecutive years, the law presumes it has been abandoned and it becomes available for others to register and use, according to Lawrence J. Siskind, a founding partner at the law firm Harvey Siskind LLP in San Francisco who specializes in intellectual-property law. Other entrepreneurs say they are actively seeking the owners of old products and concepts that may have fallen by the wayside in order to buy the rights. “It’s pretty much open season for older brands,” says Garland Pollard, a former travel writer from Sarasota, Fla., who started BrandlandUSA, a Web site for posts about classic American brands, five years ago. A year ago, Mr. Pollard added classified ads to the site, enabling people to buy and sell old brands. The site itself gets 17,000 visits a month, he says, while the classified-ad page is getting about 400 visits a month, up from 200 at the start of the year. The 43-year-old Mr. Kassoff, who owns an executive recruiting firm, noticed a few years ago that a local cash-and-carry chain was no longer carrying Astro Pops, the rocket-shaped lollipop he used to buy as a kid. He says he called the pops’ owner, Spangler Candy of Bryan, Ohio, in 2010 and was told that Astro Pops had been discontinued in 2004. He agreed to pay cash up front for global rights to the trademark and recipes as well as three years of royalty payments. He then figured out how to make the product in China in a way that would let him replicate the pops’ look and taste. hosting information He plans to launch the pops at Dylan’s Candy Bar in New York next month. 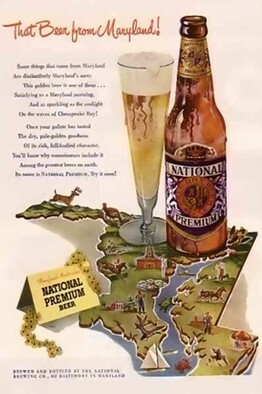 Tim Miller of Easton, Md., paid $1,200 for the National Premium beer trademark at a December 2010 auction. Launched in the 1930s, the brand, familiar to generations of Baltimore Orioles fans, disappeared in the mid-1990s after then-owner Stroh Brewing Co. ceased production amid weak sales. “It was just too good to be true for a native Marylander to see a brand like that available,” says Mr. Miller, a realtor, who spent the first six months of 2011 tracking down the beer’s original recipe. He has since lined up two distributors and hopes to start selling the beer later this year. 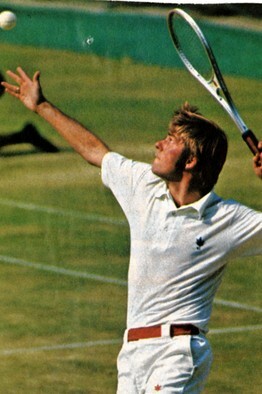 John Dowling of New York City first saw Boast polo shirts at a tennis camp in the 1980s. The shirts, a preppy icon, were launched in Greenwich, Conn., in 1972 by All-American squash and tennis player Bill St. buy domain name John. “Everyone was wearing Lacoste, but the cool camp counselors were wearing Boast,” says Mr. Dowling, a former New York University film student who worked in advertising. The logo had vanished from mainstream clothing stores by the early 1990s, although Boast shirts were still available at tennis and country clubs. Two years ago, Mr. Dowling, 40 years old, and a partner—both avid tennis and squash players—struck a deal with Mr. relevant domains St. John to buy the brand’s trademark logo, a tiny Japanese maple leaf that is often mistaken for marijuana. They paid more than $1 million, according to Mr. St. John, though the buyers dispute that. Under the deal, Mr. St. John got a 32% share of Branded Boast, a spinoff company that would sell the clothing line in the U.S. Mr. St. John also continues to run Boast Inc., which sells a private-label line without the logo at sports and country clubs in the U.S. and overseas. Mr. Dowling launched the revived clothing line in September 2010 with financing from an angel investing round. The new line updates the 1980s look with a slimmer, contemporary cut. The first run of 8,000 shirts had sold out, with about 90% of sales online. Mr. Dowling is adding shorts, tennis dresses and accessories that used to be features of the brand.